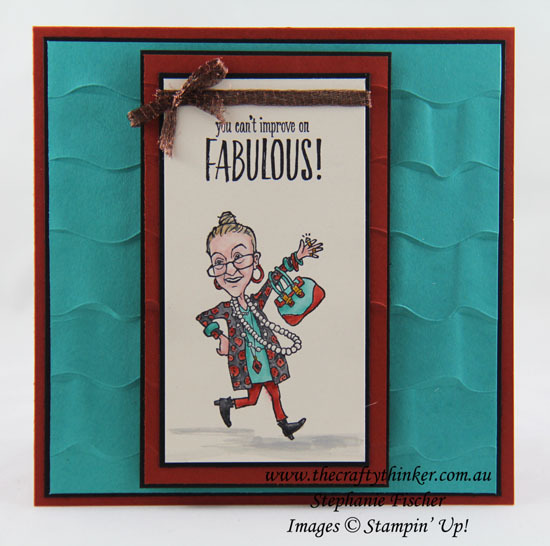 This card is entered into the Crazy Crafters Projects Highlights this week. Click here to see all the great projects and vote for your favourites. As soon as I saw this You've Got Style stamp set in the new catalogue, it's quirky, fun images captivated me and I knew I had to add it to my collection! 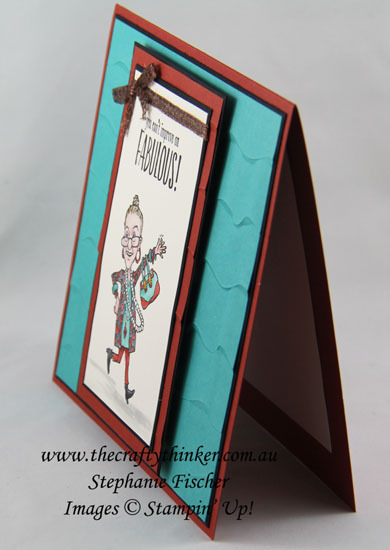 I also really like the new Ruffled 3D embossing folder - it really does look like ruffled fabric!